James Brown’s legacy as a soul virtuoso is unchallenged, but there’s an equally fervent consensus about his tyranny. It’s a duality so common as to be cliché—the relentlessness fueling an artist’s output wreaks havoc on every other facet of his life—but that familiarity doesn’t make a life as singular, as complicated, and as messy as Brown’s any easier to distill into a screen narrative. In fact, to tell Brown’s life story without leaning too far toward hagiography or censure requires a level of discipline on par with Brown’s—no easy feat when objective descriptions of his ceaseless touring schedule sound as hyperbolic as campfire legends. 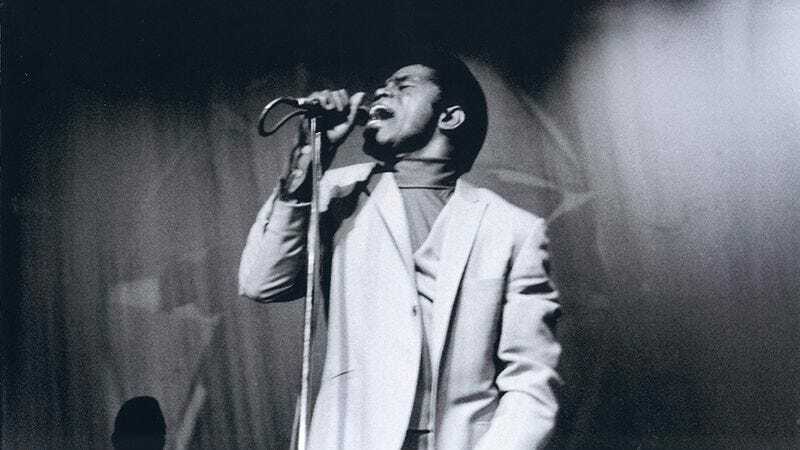 Alex Gibney’s Mr. Dynamite: The Rise Of James Brown is an assured threading-of-the-needle, slowly working its way to the sweet spot where the man and the legend overlap. Gibney is the ideal director for a Brown documentary, with a resume including his journey into a luminary’s heart of darkness in 2013’s The Armstrong Lie as well as this year’s Finding Fela, Gibney’s portrait of Afrobeat visionary Fela Kuti, whose loving interpretation of Brown’s stage shows fostered mutual admiration and as well as a habit of both artists openly cribbing from each other. With the blessing of Brown’s estate, Gibney was granted unprecedented access to archival performance and interview footage, and Mr. Dynamite wears that access proudly, with Gibney jamming as much performance into the film as it can hold. From its opening frames, Mr. Dynamite lets Brown make the case for himself with his plaintive vocals and rubber-limbed juking. The stage footage is the star of the show, and for good reason, as to watch the blistering performances that earned Brown his “Hardest Working Man In Show Business” moniker is to think the superlative is too faint praise. Gibney’s emphasis on the archival footage—some of which has never been aired—leaves less time for talking-head psychoanalysis, but there’s also plenty of that, with sharp insights from such key Brown bandmates as drummer Clyde Stubblefield, saxophonist Maceo Parker, and Danny Ray, the funk acolyte whose stage responsibility was to toss a cape over a possum-playing Brown before he roared back to life. The contextual commentary from interviewees including culture critic Greg Tate and jazz bassist Christian McBride are often just as welcome, helping to create a portrait that doesn’t ignore, but is not primarily interested in the dirt under Brown’s fingernails. Brown’s ruthlessness as a bandleader is well-documented, and his bandmates do in Mr. Dynamite what they’ve always done: revering Brown’s prodigious musical talents and the ingenuity of his performance concepts while bemoaning his bullying. Brown reprimanded players on stage and was obsessed with immaculate presentation, often withholding a band member’s nightly wage if he was careless enough to show up without perfectly creased pants. Brown’s fee disputes with his band, which led to more than one mass exodus, goes to one of Mr. Dynamite’s central themes—the degree to which Brown’s perfectionist streak imperiled the same success it fostered. Brown was a tyrant, to be sure, but his underlying crime was impatience, his inability to accept that his band members couldn’t always keep up with him during a period in which it wasn’t uncommon for them to play a half-dozen two-hour sets in a single day. He proudly wore his Hardest Working Man In Show Business nickname, yet couldn’t accept that to be the best was to be unmatched, even by those he relied upon to execute his vision. But those tales, while ethically unsavory, still burnish Brown’s image as a funk god, with the possible exception of the time drummer Melvin Parker was forced to pull a gun on him. Where Mr. Dynamite falters is when it most resembles Get On Up, Tate Taylor’s limp noodle of a Brown biopic. Much like the Hollywood version, Mr. Dynamite occasionally gets bogged down in simplistic Freudian psychoanalysis, using Brown’s maternal abandonment as a unifying theory to explain any and every one of his idiosyncrasies. The use of the departure of Brown’s mother as a lens introduces a subtly sexist tone, implying that her betrayal is responsible for all of Brown’s worst qualities and none of his best, whereas absentee-father narratives tend to credit irresponsible men for forcing their children to embrace self-reliance. Of course, Mr. Dynamite has an advantage Get On Up doesn’t: Brown himself. Chadwick Boseman delivered an admirable performance, but it naturally withers in comparison to the genuine article. Mick Jagger, who also serves as producer, testifies to this, recalling the time he conned Brown into performing in the Teen Awards Music International show in which Brown preceded The Rolling Stones. 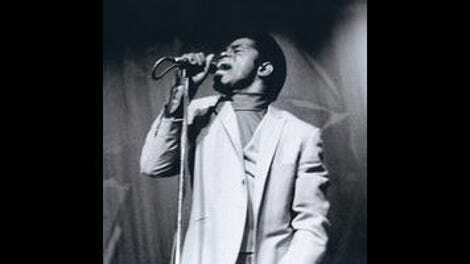 There are few fates worse than having to follow the Godfather Of Soul.